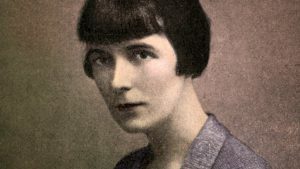 When I promote New Zealand, I always make sure to mention our national treasure, Ms Katherine Mansfield. For those who may never have heard of Katherine, she was the hugely popular short story writer who was born and raised on our very own shores of New Zealand! With a little rebellion streak present, Katherine changed the way we now approach and read the short story genre, and many universities include her compilations on their reading lists for a more in-depth study of her life and work. We are lucky enough here in New Zealand to play host to the home of the Katherine Mansfield Birthplace Society. Located in the beautiful area of Wellington, this is Katherines childhood home and the inspiration behind many of her stories. For a very small fee, which goes towards supporting future endeavours of the house, plus its current upkeep, all visitors can tour the home and attached gardens. Both have been restored to their former glory days and perfectly mirror the scenes that Katherine herself would have experienced growing up here as a budding writer. Whether you choose to tour the grounds on your own, or maybe you would prefer a friendly and knowledge tour guide at your side, this is a must-see place of history that you will remember for many years to come. Although a modest two-storey house, the Mansfield home has a wealth of history woven into its tapestry. Restored in the 1980’s, it has strived to keep a number of original features including the bannisters, and even some replicas of the original wallpaper that would have adorned the walls when Katherine was a young girl! Visitors can also see several personal items that once belonged to Katherine herself. The home also houses Katherine’s parent’s items, such as her mother’s chairs and her father’s writing desk. Furthermore, the inspiration of this phenomenal lady extends to the outside of the home whereby the Mansfield garden has been brought to life. Here you will find an abundance of flowers that would have been popular and possibly grown in the garden during Katherine’s lifetime. Such flowers played a large role in her stores as well, as she often remarked on her love of them in various stories.